We have endured the most devastating and consuming drought in the SW Cape over the last few years. Hardly anyone has been left unaffected, and the academic, political and emotional investments in assessing, analysing and solving the problem have been significant. 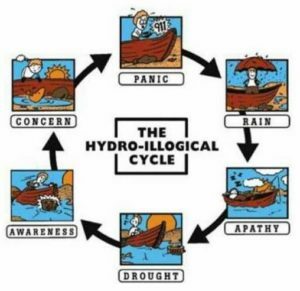 But, now that it has rained, (and the rainfall since January this year is still not up to the normal, or average, levels), and the dams are filling, it seems that we are relaxing, becoming less vigilant and slipping into old habits. Taps run just a little bit longer, showers are warm and oh, so comforting, and do we really still have to carry buckets of water for the toilet? So, the discussion about easing the very austere restrictions has begun. There is no question that the punitive regulations have hampered the economic activity of the city, and had a significant impact on almost everyone’s daily life. However, to lift the restrictions means that more water will be used, which surely we can afford…or can we really? Well it’s not about Day Zero as such. That possibility still exists but there are too many unknowns. And it is in the face of the unknowns that the Precautionary Principle must apply. 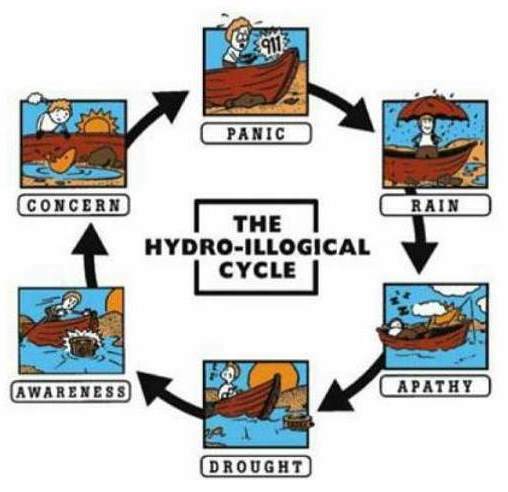 We know that the dam levels go up during the rainy season, a factor of both rainfall and use (including losses), but how much recharge can we expect. 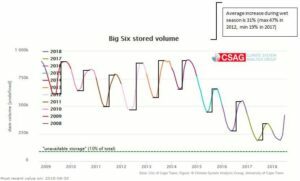 We must assume that our usage, which is significantly less in 2017/8 than it was in 2014/5, will stay more or less what it is now. According to the city, the drought induced target of 450 million litres a day has never been reached. Consumption has dropped below 500 million litres a day three times: 492 million litres a day on May 7, 481 million litres a day on July 2 and 494 million litres a day on July 16. From the graph below we can see that the seasonal upswing in dam levels (between 2009 and 2017) adds, on average, approximately 280,000 Megalitres, or 31% (maximum 47%, minimum 19%). Thus if we extrapolate for 2018, assuming a normal rainfall, then a minimum increase of dam levels from the low of 20% in April, to the current level of 57% already surpasses the average increase. Although the rainfall has been slightly below normal, the low usage has contributed to this windfall. 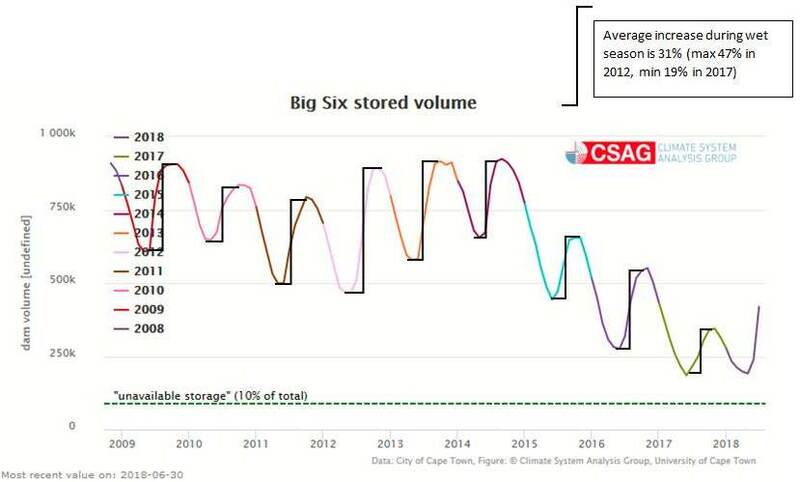 And if more rain is received in August and September, then there is every chance that the dams will have risen by up to 50%, putting them at 70%! But even this is not enough! Historically, a total dam level of anything below 85% by the end of the rainfall season would negate any reduction in restrictions. So let’s keep an eye on those dams, and not just on the perceived rain. Adapting to the drought has taken a huge effort. And yes, businesses have suffered, and maybe we need to look at some relief there. Generally, water savings measures have been effective and the uptake has been widespread, but the adaptation will become maladaptation if we assume that things are back to normal. We just don’t know what the future normal will be like, but we can save water while we still have it. 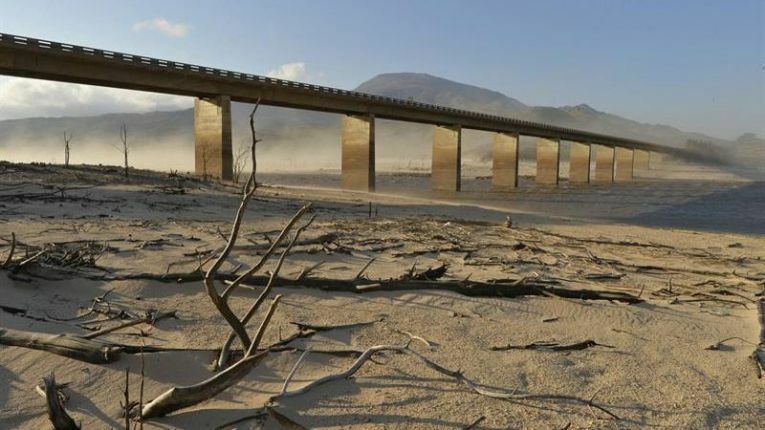 And, as Dr Kevin Winter puts it “Are we capable of conserving water when the cost of water is lowered (again)?” If Cape Town is to be a water resilient city, then sustained wise management of this undervalued resource is required. This entry was tagged cape town, climate change, crisis, dams, drought, regulations, restrictions, south africa, water, western cape. Bookmark the permalink.